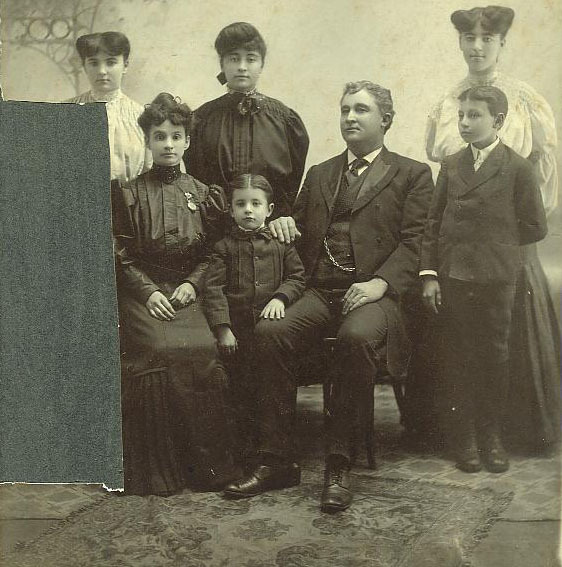 Family photo of Col. John Bruff Queen (my great, great grandfather) and family. Back row left to right; Mable Queen, Hazel Queen, Maude Queen. Lower row left to right, Great, great grandmother Luella Mercy Waite-Queen, Howard Queen, Col. John Bruff Queen, & Byron Queen. Son William Queen cut his image out of the picture to give to a girl friend.